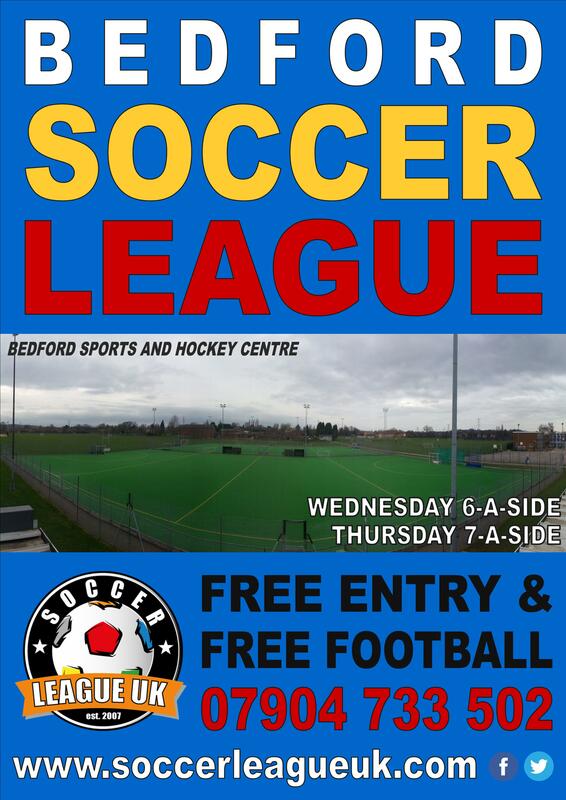 Established in 2007 by people passionate about football, we have been running small sided leagues for communities in Bedfordshire, Cambridgeshire, Suffolk, Northamptonshire and Hertfordshire ever since. 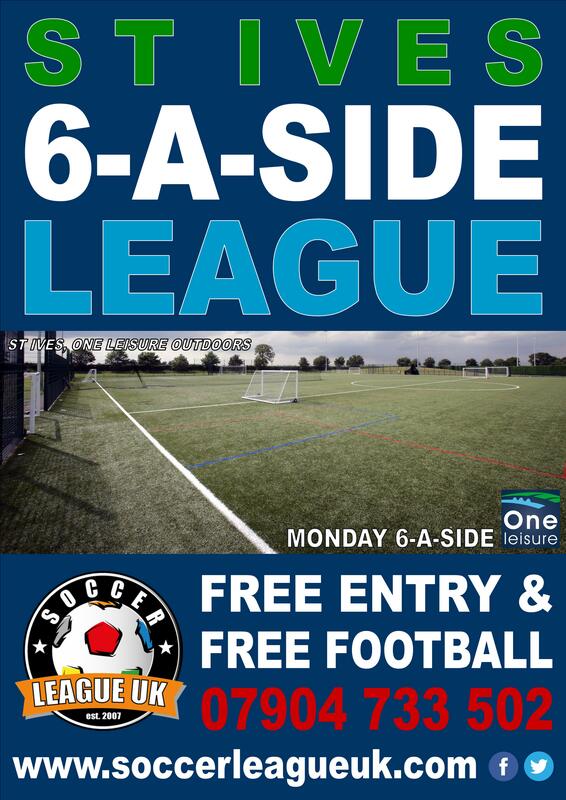 Small Sided Football is the most popular and fastest growing area of adult football. 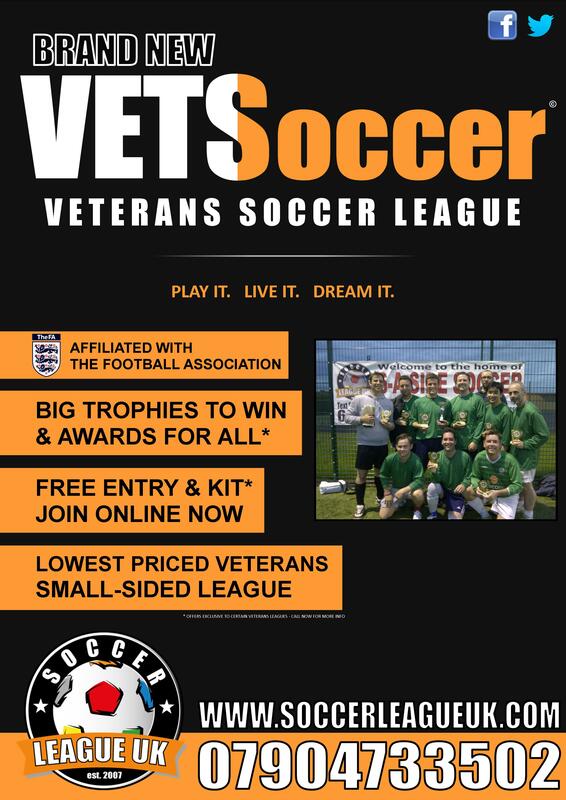 With millions of adults playing every week and almost 50,000 teams playing in competitive leagues, this format of football has increasingly become an integral part of football across the UK. 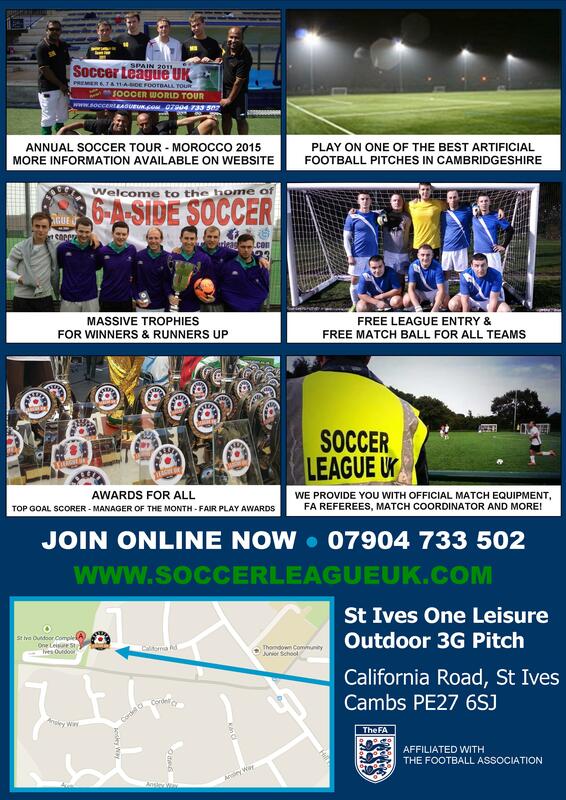 Soccer League UK provides local leagues, on a variety of surfaces, including 3G all weather and indoor, so whether you are a group of friends, work colleagues or a team looking for extra practice and training - you can enjoy our professionally run leagues with a competitive edge, and all at an affordable price. 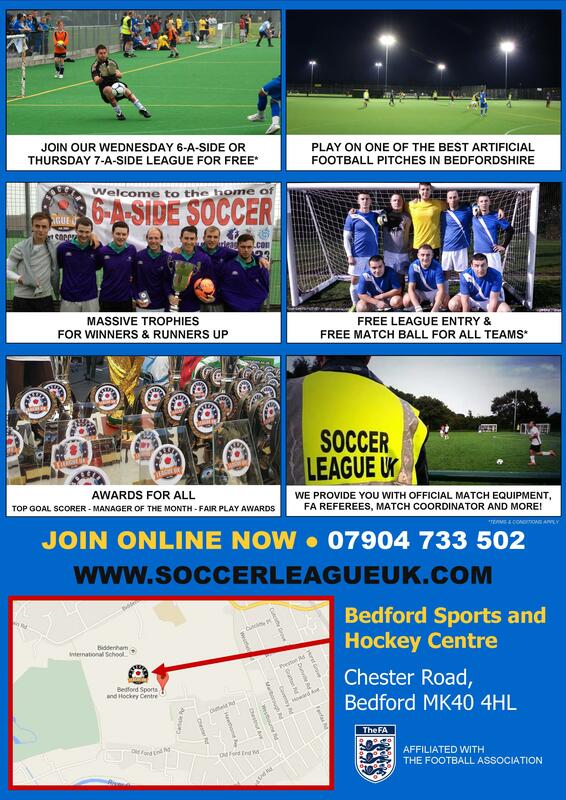 Click here for a copy of our match rules and terms & conditions of entry. 07:00 PM Bumfica FC v Audi Miss That! ?